The Senior Technical Advisor (M & E) will co-lead the project M&E activities including systems development and implementation, strategy and guidance document development, capacity building, quantitative and qualitative data analyses, program evaluation, and routine program monitoring activities, to provide the needed advisory and capacity building support to the MOHCDGEC and PHIs and to meet the CDC development assistance goals in Tanzania. Support the MOHCDGEC and PHIs in carrying out quantitative and qualitative analyses of HIV and other priority data, and development of presentations to guide national and regional level operational and policy decisions. The ideal candidate should have an advanced degree in epidemiology, public health, medical, or social science discipline or related health; doctoral-level degree preferred with over 10 years of experience in monitoring and evaluation of large international HIV or other health projects. S/he should have demonstrable experience in designing and establishing M&E and data quality improvement systems, developing and implementing Performance Monitoring Plans, development of quantitative and qualitative research instruments, designing and conducting program evaluations, conducting data analysis and use, and M&E capacity strengthening workshops. In addition, s/he should have the following experiences; designing or working with dashboards and other web based health program data management and presentation tools, working with the MOHCDGEC and the Tanzania government, working with CDC, PEPFAR, U.S. Government or other bi-lateral donors preferred. S/he should have strong communications skills both verbal and written. The candidate should have ability to work independently, as well as in collaboration with colleagues and partners and willing to be flexible to meeting changing priorities and deadlines. 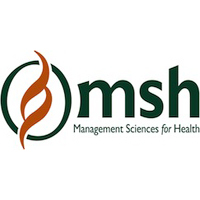 MSH is seeking to recruit highly motivated individual for the Tanzania Technical Support Services (TSSP) Project, a five year (2016 – 2021) project funded by the Centers for Disease Control and Prevention (CDC) in Tanzania as a Driver. The driver will be responsible in providing reliable and courteous transport service to Management Sciences for Health (MSH), Tanzania staffs with safety a top priority, to operate and maintain the assigned vehicle. The driver will support general administrative functions of the office as well as support program trainings, workshops and meetings as assigned by the Finance Manager. To operate and maintain MSH vehicle(s) with a focus on safety and customer courtesy. To performing daily pre-trip and post-trip vehicle inspections. To fueling the vehicles; ensuring that periodic scheduled vehicle maintenance is completed and reported; documenting customer usage; preparing trip reports. To Keep vehicle clean and tidy at all time. Fluency in spoken and written English and Swahili required. Strong organizational skills, ability e to work well under pressure.